The World's number 1 puzzle. There are over 43 quintillion possible moves to solve the classic 3x3 cube but only one solution. Can you solve it? The classic Rubik’s Cube is incredibly addictive and has fascinated fans since it arrived in 1980. A must for puzzle lovers the aim is to twist and turn the Rubik’s Cube to return it to its original state with every side having one solid colour. 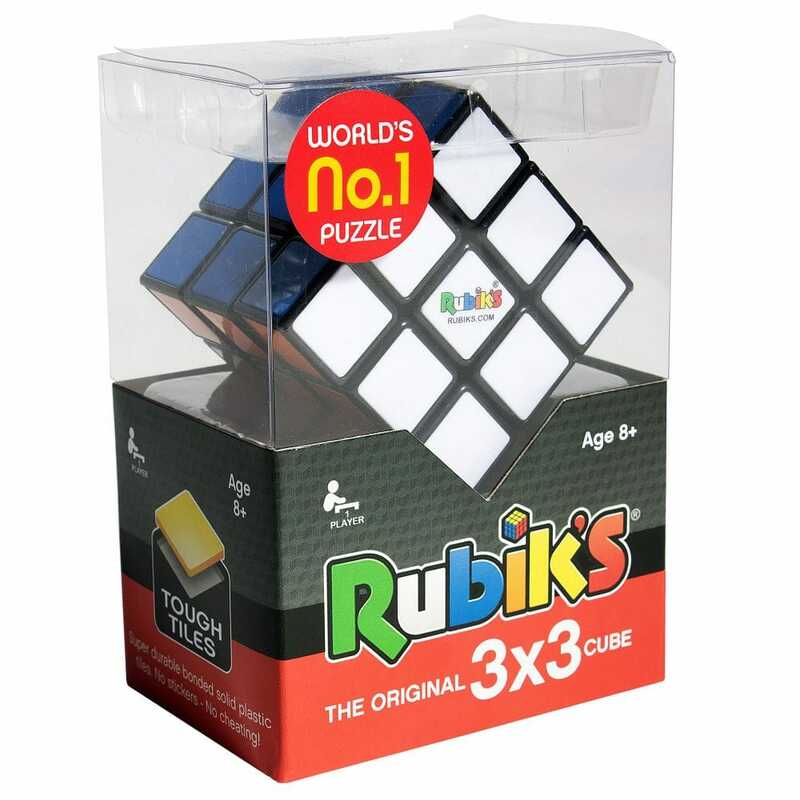 The Rubiks 3x3 has plastic tiles which means no fading, peeling or cheating with a brand new mechanism for smoother, faster twists and turns.